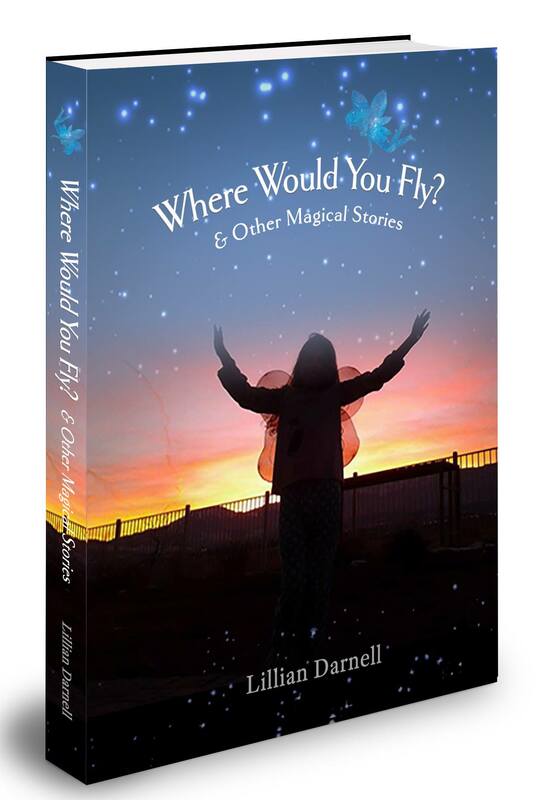 On April 1, 2019, Lillian and I were a guest on the lovely Katrina Marie Hart’s blog to share a bit about Lillian and her debut book, “Where Would You Fly and Other Magical Stories”. If it feels right, we would be grateful for you to visit Katrina’s site to read the article in it’s entirety, and like or comment with your thoughts. ” …… My inspirations for writing are nature, coloring, drawing, reading, something I catch myself saying, food, and holidays. Most times my writing flows through me like a river. Amazing news! 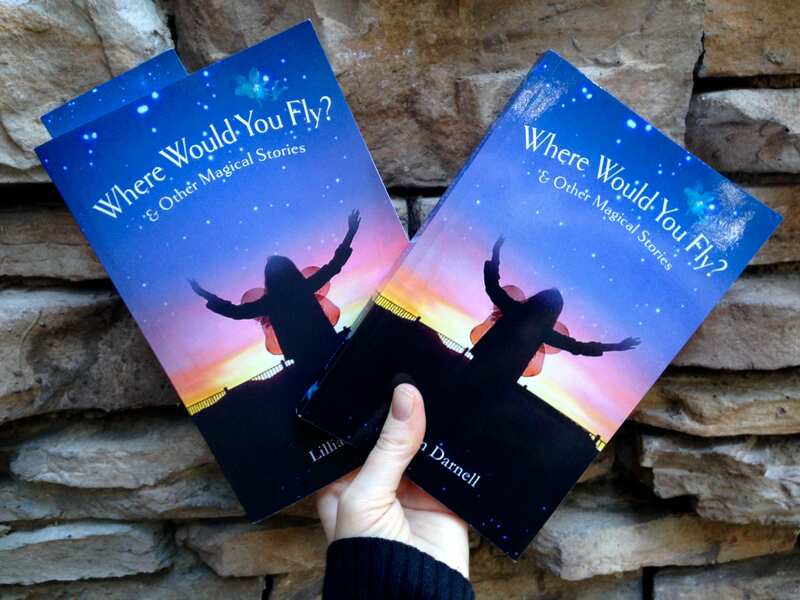 My 17 year old daughter, Lillian Darnell’s debut book, “Where Would You Fly and Other Magical Stories” was published January 2018. Learn more and order here. Camilla: What types of stories are in “Where Would You Fly”? Lillian: The types of stories in “Where Would You Fly” are poetry, songs, riddles, fictional stories, and fantasy stories. Camilla: What inspires your writing? Lillian: Nature, reading, something I say, food, holidays, and more when I can’t think of something to write. Other times though, my writing flows through like a river. Camilla: What message would you like readers to take away from your collection of tales, legends, and poems? Lillian: I would like my readers to take away from my tales, legends, poems to enjoy nature, be yourself, enjoy life, and enjoy reading as much as you can too. Camilla: Is there a particular author or authors that inspire you? Lillian: Camilla Downs (my mother), Daisy Meadows, Helen Perelman, and L.M. Montgomery are the authors who inspire me a lot. Camilla: Are you still writing? If so, what types of stories do you write? Lillian: Yes, I still write. The types of stories I write now are mostly historical and fantasy stories on my blog which is http://www.lilliandarnell.com/. Camilla: What is your favorite story that is in “Where Would You Fly”? Lillian: My favorite is all my stories in the book but if I had to choose just one, I would choose the story Princess Beauty. Lillian Darnell is 16 years old. She likes to read, draw, paint, write, track weather and enjoys being in nature. She has 18p- which is a chromosome difference that affects 1 in every 56, 000 people. I recently read a post in a writing group from someone about envy arising in some members when it is announced that other members finally have a published book! The writer of the post was not being unkind. She simply wished to share why envy is not called for in this situation. While I don’t agree with the reason indicated, I do agree that it’s in our best interest to catch the feelings of envy and jealousy when they arise. Notice the feeling. Physically feel it and release it. And, by the way, I am not immune to having these feelings either. If they do sneak up, I try my best to do what I previously describe above. On the opposite end of envy and jealousy is inspiration and the knowing that you too can accomplish that which you desire. As long as you believe it and you believe you are worthy of birthing it to life. Those who are meant to assist will appear. The writer of the post concluded that the reason that these individuals are published is because they had the money to do it. She is a published author of several books so was speaking from her experience. Her thoughts were that if you have enough money, a publisher will publish the book as long as it fits their criteria and that the publisher doesn’t care if it’s good or not; as long as you pay them. She further indicated that family and friends will request free books and the author is lucky to receive 10 free books from the publisher and that there are those who become upset when referred to amazon to purchase the book. I do not relay this to contest or argue as that’s not my nature. I fully understand that this may be the experience of some, perhaps many. I only want to present that there is another way and there are those with a different experience. I’d like to share my experience now that I’ve published three books. Oh my gosh! I’ve published three books! Wahooo!!! Let’s celebrate!! …. I’ll begin with the latest. 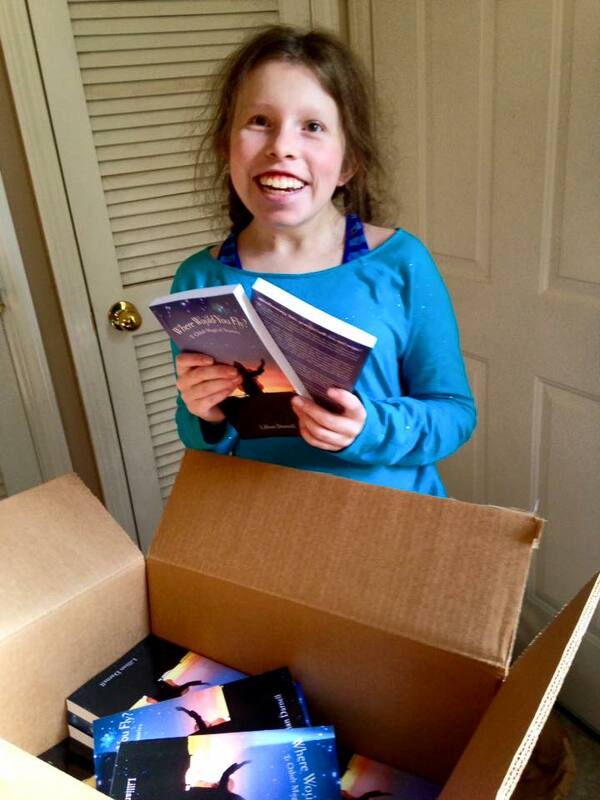 My 16 year old daughter, Lillian’s, book – “Where Would You Fly and Other Magical Stories”. This will be quite lengthy, so I’m going to get to the bottom line first thing. And those who are interested about the entire story can read further. Lillian’s book was published with absolutely no money paid out to anyone for the creation of the book. That’s it! Now, there was a bit of money paid for the ISBN bar code graphic (about $20), for envelopes to mail the books once received (about $15), and for two proof copies of the book (about $15 each which included shipping). I want to reiterate that I am not sharing this to brag or gloat. That is not my nature. I am sharing this to give hope, to share light with others who may feel that which they believe they are supposed to share with others may never come to fruition. Please don’t give up. If you know you are supposed to share something, begin to take steps. Start where you are. Don’t let the “How” of something five steps away stop you from taking the first step. Lillian and I began writing stories together when she was four-years-old as I felt then that I was supposed to write and she wanted to write too! 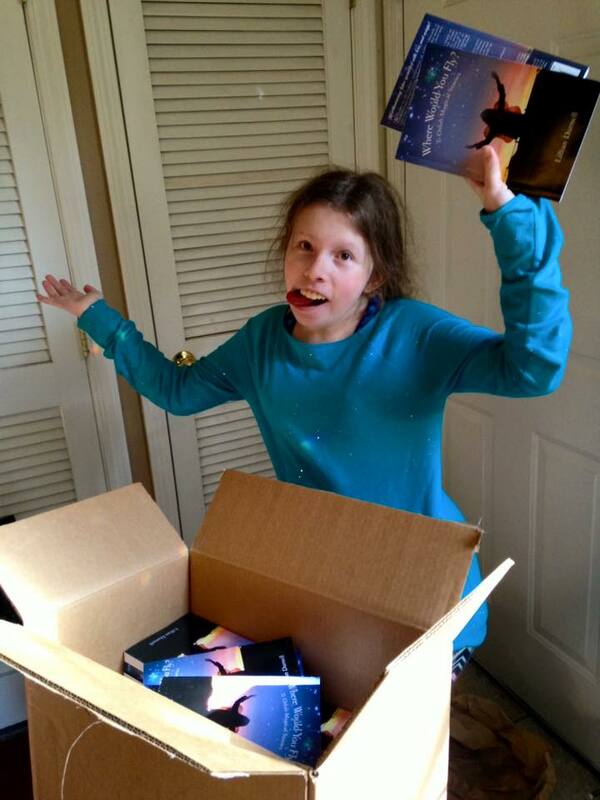 Lillian has a chromosome deletion that affects 1 in 56,000 people (named 18p-). One of the main ways it manifests is her ability to articulate letters and words. She is largely unintelligible when she speaks. If you’re interested in learning more about Lillian you can go here on my blog and visit her blog here. To learn more about her book go here. Shortly after we wrote a few stories together she began writing her own stories, poems, and songs. I made it clear that one day we would write a book together. 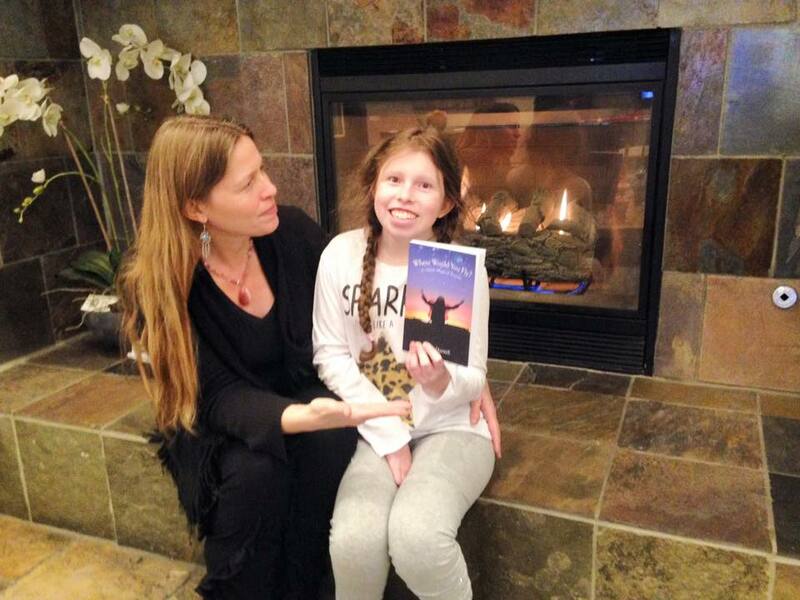 At 16-years-old she is now a published author! I didn’t know how I was going to make it happen. Yet, I have this quirky thing about me where I do not let the how stop me. I simply get started with where I am and with what I have. In late Spring 2016 I began sifting through Lillian’s blog posts and handwritten stories. I remembered that years ago a fellow chromosome 18 mom had let me know she was a graphic designer. At the time I was working on websites and social media for businesses so that’s how her message came about. I messaged Kate and asked how much she would charge to create the book cover and if she was able to help layout the book using Amazon’s createspace (Amazon’s self-publishing arm). I sent this message knowing full well I did not have the money to pay, yet, again, I do not let that ever stop me. I ask. I continue moving forward. I figured if I knew how much she charged, I would have a number to keep in mind for accruing. Kate messaged that she would help us for no charge. So began the journey of bringing the book to life. I spent hours and hours and hours pulling together the stories, organizing them, and editing them. Kate spent hours and hours and hours creating the cover and having a hell of a time maneuvering through createspace. If you perform a search for createspace and reviews/opinions, you’ll see what I mean!! Kate was a trooper. She would not give up! The interior would be perfect on her end. Then, after uploading to createspace, it would go all wonky. Random spaces and markings in the book. It was no picnic for her!! I performed the editing of the book with Thomas, my 12-year-old, as an assistant editor. I have a dear junior high school friend who edited the Forward and About Author section for me (since I wrote those, I needed someone else to edit). I already had an ISBN as I purchased a block of ten back in 2006 or 2007 as I knew in my heart they would be needed. We’ve used four now!! I handled contacting the library of congress for the LCCN. I procured the bar code graphic. I researched and created the copyright page information and the Publisher’s Cataloging-in-Publication data; including the dewey decimal number classification. I also requested and received book endorsements. I will be creating the book trailer, the press release, and handling the marketing, and setting up book signings. I have not had any family member or friend ask to receive a book for free. I, however, have offered it in trade to a few people as I didn’t have the money to pay for services (haircut, mandala class for Lillian). That goes for Thomas’ book and my book too. No one ever asked for a free book. However, I did gift and trade some books. I am also not shy of telling others that our family earns more money when the book is purchased directly from us as opposed to purchasing on Amazon. However, we are happy whichever way people choose to purchase. The bottom line is it doesn’t matter where they purchase it. Yet, they may never know or understand how it works if I don’t share the information. A project that began in June 2017, is now complete! 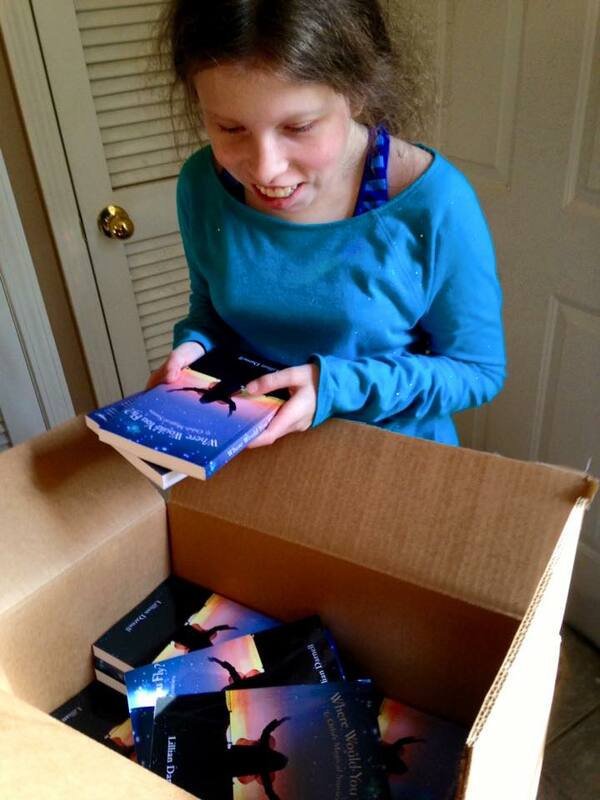 Lillian Darnell, my 16 year old special needs daughter, is now a published author! January 2018 is the official publication date and we are awaiting the arrival of the first shipment of books! When I began I did not know how it would move from the idea stage to the published book that it is today. As with other projects I undertake, I just began and let it unfold organically. I am writing a blog post with more details which will publish this week or next. I am working on the press release and book trailer now and we will let you know of the book launch date and book signings.